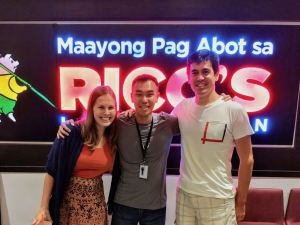 Up to this point in the blog history, I haven’t written too many posts about travel hacking. However, as I mentioned in App Party #1, this is something I am starting to focus more on. Since I plan to retire by 30, I think it’s important that I start amassing travel reward points so that I can truly enjoy my early retirement… when the time comes. So, how does one go about accumulating travel points? It’s really simple, the more you spend, the more points you get. Most credit cards will give you 1x point for every dollar spent. 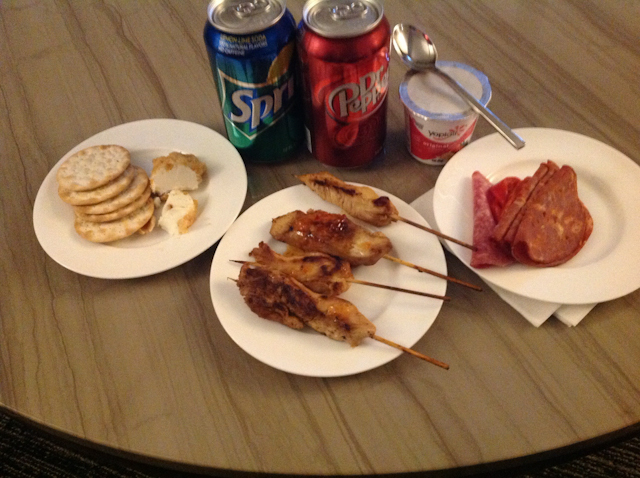 Some cards, like the Chase Sapphire will give you 2x points for every $1 spent on eating out, or travelling. How do you spend more if you are super frugal to begin with? Well, if you own rental properties, you’ll definitely have a lot of bills to pay! Since I now own three rental properties (and have plans to buy many more), it only makes sense for me to charge these expenses to my credit cards so that I can rack up even more points. My total expenses are a lot greater than the average consumer, thanks to the rentals, so I’m able to accumulate points at a blistering pace. But wait a second… isn’t it impossible to pay your mortgage using a credit card? Well, technically, yes, that’s right. You cannot pay your monthly mortgage using a credit card… However, there is a way to get around this. If you purchase gift cards, you’ll be able to load them into a checking alternative account, such as Bluebird. This is huge! My monthly mortgages are over $3000. Annual property taxes are over $10,000. If I were to pay using a conventional checking account, I would earn ZERO rewards. That’s no fun. But with Bluebird, I’m able to earn points on bills I would normally have to pay anyway. Now that’s rewarding! Further, if you sign up for new credit cards that offer special promotions (e.g. earn 50,000 bonus points for spending $3000 in 3 months), it becomes that much easier to meet the minimum spend! Once the funds are transferred to Bluebird, you don’t have to worry about them expiring. Simply use Bluebird like you would your regular checking account. How does one reload a Bluebird card? The simple answer is to purchase gift cards and then to reload them onto Bluebird at Walmart. Most gift cards that have a debit number will work (e.g. Visa gift card, Chase gift cards, etc.). So, you will need to purchase a gift card, and then go to Walmart and either use their money machine, or get help from customer service to load the gift card onto Bluebird. It’s pretty simple and straightforward, and you can do a Google search to find specific instructions. Going to Walmart each time you need funds can get rather tedious though. Luckily, there’s an easier alternative. With Vanilla Reload cards, you can transfer the funds directly online! You simply purchase the Vanilla Reloads using a credit card, scratch off the pin, log onto Vanilla Reload, enter you pin + Bluebird checking account number, and transfer the funds. Voila! At the speed of light, your funds will transfer onto Bluebird. However, in certain parts of the country (where travel hacking is most popular), many drugstores, and stores in general, will not allow you to purchase Vanilla Reloads with a credit card. Other stores will allow it, but will cap your purchase limit to $200 or so. Most gift cards charge a flat rate fee of $3.95 to $4.95 per transaction, so this prevents you from getting a lot of bang for your buck. Since gift cards can usually be loaded up to $500 each, it makes sense to maximize each card so that you can lower the expense ratio. I’m located in the Bay Area, and travel hacking is very difficult here. 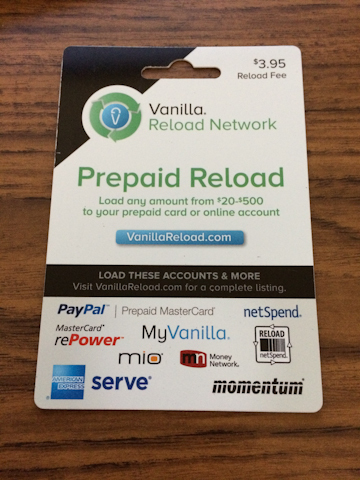 Most stores don’t even carry Vanilla Reload cards. Luckily, there are many parts of the country where they do stock these cards and they are easy to purchase. 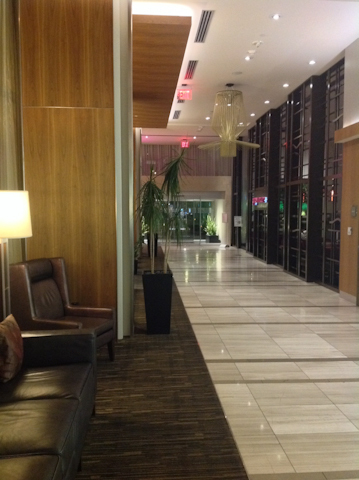 Recently, I made a trip out to Chicago to look at rental properties. I also made sure to hit up the local drugstores to locate some more Vanilla Reload cards. In a given month, Bluebird will allow you to load up to $5000. 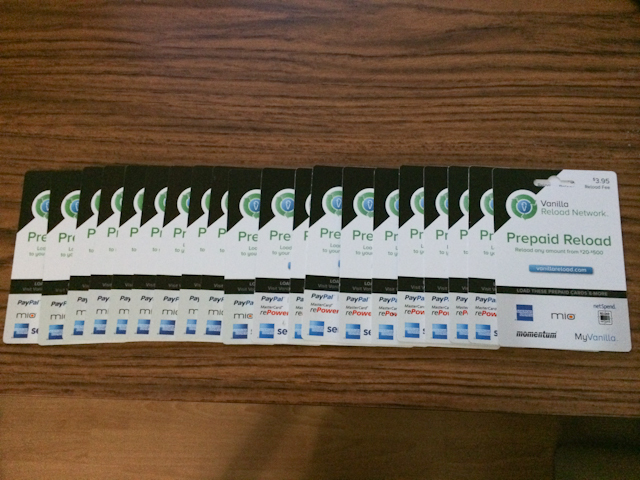 Since my monthly mortgages are over $3000, this is something I need to do frequently (to keep racking up points). My buddy and I were successful in locating a few stores that had these cards in stock. I bought $5000 worth of cards ($500 each card, or 10 cards total). I’ve been traveling a lot lately. I went to San Diego in September, Sedona in October, and Chicago in November. 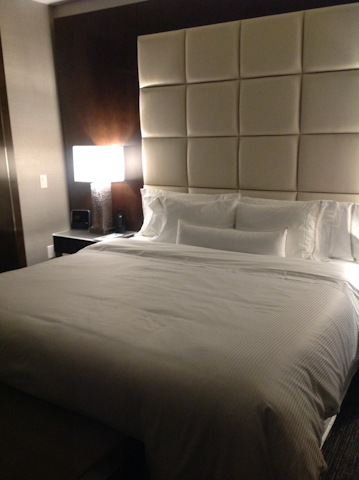 Each time, I was able to stay at good hotels for FREE! Thanks to Vanilla Reload (and Bluebird), I’m able to accumulate more points on a regular basis. In the future, I plan on traveling even more. 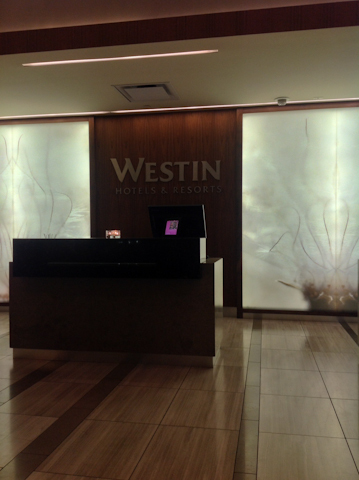 Here’s a Westin Hotel in Phoenix that I stayed at last month. 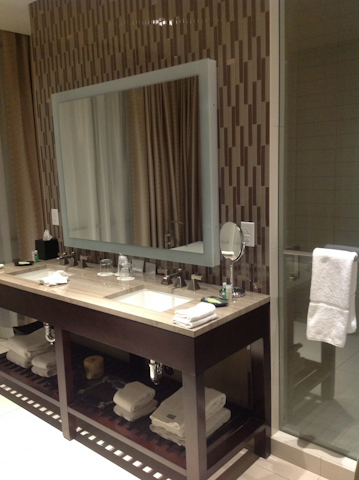 I used Starwood Points to pay for the room, which I earned from paying mortgages and bills. Anyone who enjoys traveling knows that it can be expensive. Many credit card companies offer fantastic cards with great introduction bonuses if you meet their minimum spend requirement. Sometimes this is difficult to do because it requires you to spend a large amount of money in a short period of time. Luckily, through the use of Vanilla Reload cards and Bluebird, it becomes so much easier to meet these requirements. By purchasing Vanilla Reloads with your credit cards, you will clear the minimum spend hurdle. 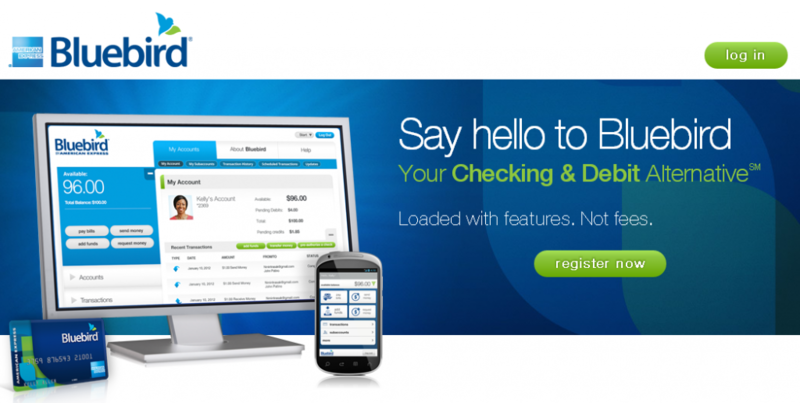 By loading them onto Bluebird, you are effectively transferring your own funds from one checking account to another. Since Bluebird works like a normal checking account, you don’t have to worry about your funds expiring. Further, for anyone with rental property (or lots of bills to pay), it makes even more sense to use these cards. It’s not possible to pay mortgages directly with a credit card, but by using Vanilla Reloads and Bluebird, you are able to indirectly. The credit card purchases the Vanilla Reload, which loads onto Bluebird, which pays the mortgage. All in the meanwhile, you keep racking up travel points (since you used the credit card to buy the Vanilla Reload) on expenses that you would otherwise have to pay anyway. Retirement should be fun. 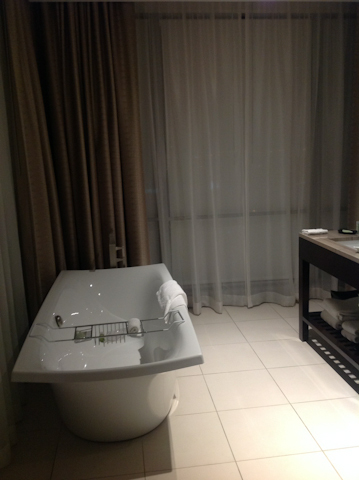 Through the use of rental properties + travel hacking + Vanilla Reload + Bluebird, I intend on making sure it is! Vanilla Reload: The Party's Over!?! Fascinating! I love the concept. I will start looking into this around me here on the east coast. Could be something to start incorporating into my routine. That’s a good hack. I will look into it in my area. Good luck! I’m loving it so far! I’m bookmarking this post for future reference. I love the idea of doing this, but I suspect in my area (NYC) I won’t be allowed to buy the cards with a credit card. But I’m going to look into it. Yeah, it may be more difficult to find in NYC… if you venture out of downtown, it may get easier. I drove around Chicago recently, and found some in stores around the surrounding suburb area. Just found your blog today and find it fascinating. Thanks for sharing all of the specifics on your journey as it is great to see the real hard numbers. I just closed on 2 rentals yesterday which are #2 and #3 in my portfolio. I want to start utilizing this Vanilla Reload and Bluebird strategy for paying all my future mortgage and tax payments like you suggest. My biggest question is: So everytime you buy a $500 Vanilla Reload card you have to pay the $3.95 fee? When you bought 10 VR cards for a value of $5,000 it cost you $39.50?? or am I missing something here? I live in the Bay Area too, more closely the Peninsula and I can’t find one retailer that lets me purchase vanilla reloads with a credit card. What are my other options? Can I purchase gift cards at Walmart with a credit card/Amex? If you don’t mind driving, I know a feel places in South Bay or Pleasanton areas. Otherwise, you can buy Visa gift cards (the ones with debit) and reload at Walmart. These cards are more hassle and $4.95 each, but may be better than nothing if you can’t find the reloads. Where in the South Bay do you know has cards? I stop by there somewhat often.